I would always sport my “Support Cedric Diggory” badge. 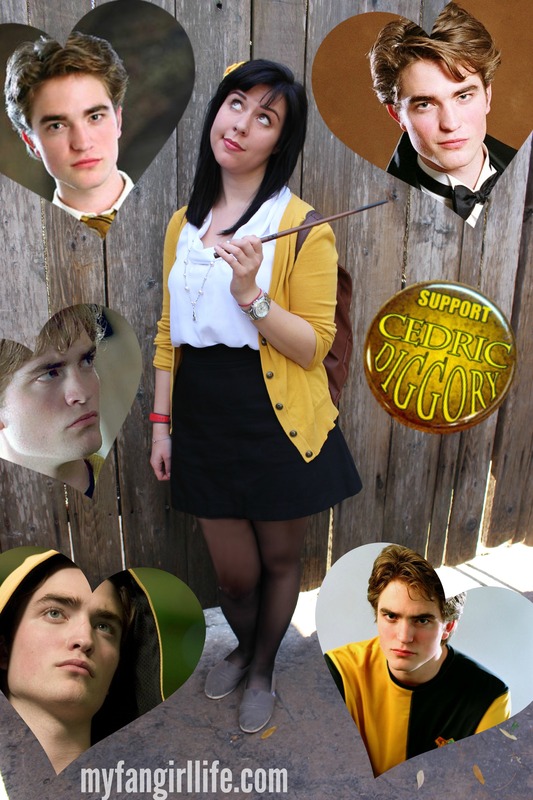 I would write my name all over my notebooks as “_______ Diggory”…with hearts around it of course. I would attend every quidditch practice and game…but only as a spectator because players do not have time to watch Cedric Diggory. I would brainstorm a selection of witty one-liners to use should he ever speak to me. I would write him his very own theme song to be sung as he walked down the hall. I would only wear yellow and black in an attempt to support his house. I would transfer into any shared classes possible. If that didn’t work (like if I was in the wrong year) I would memorize his class schedule so that I could plan my routes to see him. Alternatively, I would attempt to skip a year to “catch up” (or fail classes to be held back)…accordingly. I would find photographs of Cedric and put a spell on them to trap him & only him within the picture. Then I would make a jaunty photo collage! I would sacrifice all of the house points I earn to Hufflepuff house in honour of Cedric Diggory. 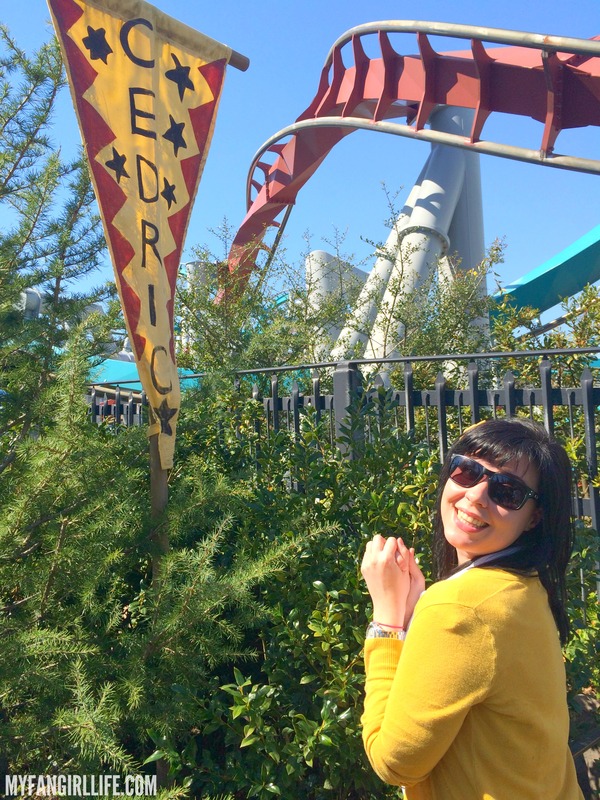 I would start a Cedric Diggory Fan Club and hold monthly meetings…until it took off at which time we’d increase to weekly. I would start a twitter account that just reported on what Cedric was doing or saying or other news…then I would figure out how to make twitter work in Hogwarts where electronics can’t function. I would find my way into the Prefects bathroom (by becoming one or stalking the entrance) then wait for Cedric to take his bath. I would write him love letters and burn them as an offering to the gods of love & fate. I would transfer to Hufflepuff…Dumbledore would make it possible with a good enough excuse. I would figure out what brand of cologne he wears and spray it on my pillow each night. I would obsessively research any information on his girlfriends, past or present. Then I would consider the best means of sabotage. I would write fan fiction about our love. I would bribe one of his roommates to get me a lock of his hair. Then I would pay him to leave a lock of my hair on Cedric’s pillow. I would reserve a table at Madame Puddifoots and a room at the Leaky Cauldron every Saturday night in hopes he shows up. So I would figure out how to get Cedric Diggory to Madame Puddifoots or the Leaky Caldron on a Saturday night. I would lure him into the Room of Requirements and then imagine away the door. I would brew a love potion, but not feed it to Cedric Diggory because I want our love to be pure. Then I would realize this is probably not going to happen so I would feed it to him anyways. I would consider putting him under the Imperius curse and forcing him to be my boyfriend…but I would not last in Azkaban so I would need to avoid illegal means of getting his attention. But in reality I would probably just sit quietly, alone in my room wishing Cedric Diggory knew I was alive.